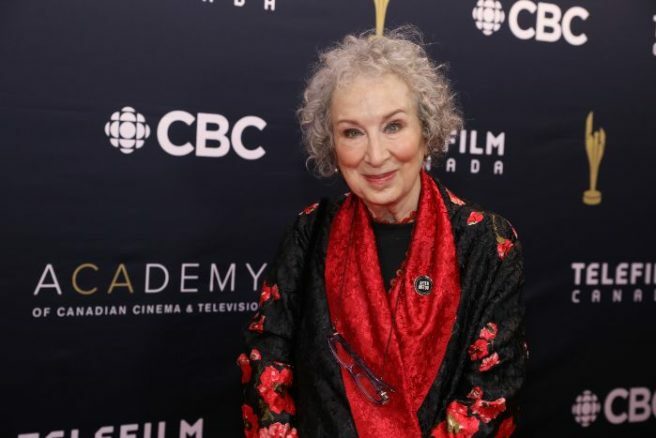 Margaret Atwood is writing a modern day Handmaid’s Tale sequel | SHEmazing! Margaret Atwood is writing a sequel to her novel The Handmaid's Tale. The new offering is reported to be inspired by the current state of the modern world. The new book, called The Testaments, will be published on 10 September 2019. The original novel, written in 1985, has since sold over 8 million copies. The book was then adapted into an exceptionally popular two-series TV show in 2017 and 2018 respectively. The show has been nominated for 18 Emmy Awards across both series, of which it has won 6. The handmaid's red capes and white bonnets became synonymous as symbols of an oppressive society, symbolism which was used in marches to repeal the 8th amendment in Ireland ahead of the landmark referendum in May, and in America in protest against POTUS Donald Trump.